Toyland Falabellas generally price from $750 USD to $10,000 USD and up. 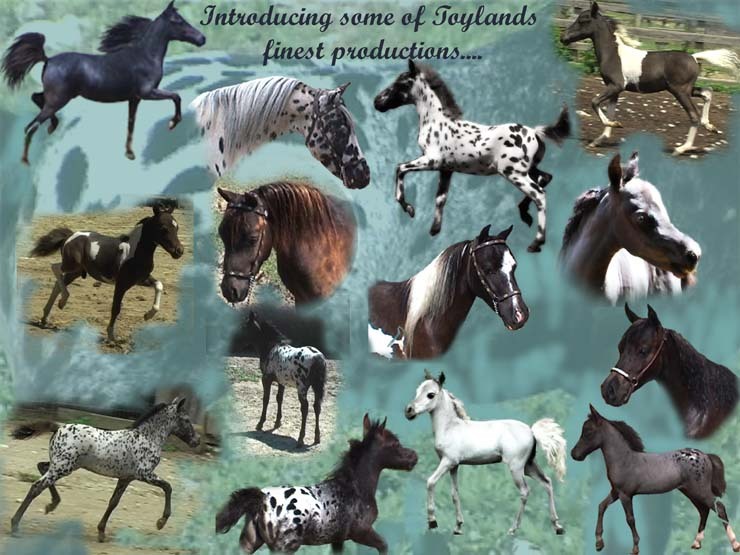 We price our horses according to size, conformation and color. For a specific price on an individual horse, please email or call, group discounts and breeding packages available! We have an excellent selection with all prices for your consideration. ABOUT THE ANGELICA FALABELLA HERD! As I write this historic chapter of an event that has taken place, I am looking forward to the future of the Falabella Breed and continuing to promote and preserve their rare bloodlines. On April 27, 2006, Angelica Falabella graciously allowed me to acquire her entire herd at her Falabella Farm in South Carolina. Most are her special picks which Angelica kept for herself. Some are very small Falabellas, of 26” to 30”. Most important, their lines go directly to the Argentina stock which are from different Falabella lines. These Falabellas are truly the LAST of the Angelica herd from her South Carolina Ranch. She has retired from breeding because of other things in her life she wants to venture. It is Angelicas wish that her Falabellas be placed with dedicated Falabella breeders so her line will continue on. I have told Angelica I will do this for her. We plan to keep some for our own breeding program and share the rest with other Falabella Miniature Horse breeders. PRICING: Toyland Falabellas generally price from $750 USD to $10,000 USD and up. We price our horses according to size, conformation and color. For a specific price on an individual horse, please email or call, group discounts and breeding packages available! We have an excellent selection with all prices for your consideration. "PayPal accepted with 3% service Fee"